Real estate research and statistics have indicated that in the month of May, 2016, there were 551,000 new home sales in the United States alone. Buying a new home can be one of the biggest and most fulfilling purchases that a person makes in their entire life, but at the same time, there are many potential pitfalls and risks that need to be assessed in order to go about the purchasing process as safely as possible. Keeping the following things in mind will ensure that you are always able to be the most intelligent and satisfied homebuyer that you can be. Before finalizing your decision on a purchase, it is important to keep the long-term aspects in mind. Deeply consider the re-sale elements. Do you intend on raising a family in the future? Do you intend on taking care of any of your older family members in the home? You must also consider just how long you intend on inhabiting this new home of yours should you choose to purchase it. In the event that you only choose to live in the home for a couple of years, consider who you will think about selling the home to once you leave. One of the most intelligent things that you can do before buying the home is to create a comprehensive list of items. While buying a home can be a very sentimental and emotional ordeal, you will benefit the most from being sure to keep all of your emotions subdued whenever you are evaluating the house’s properties. Of course this is easier said than done, but still, be sure to make an objective checklist of all of the necessities, wants, and other miscellaneous items. Taking photographs of each item can prove to be very beneficial. Getting title insurance is one of the best ways that you can protect your home investment overall. A home will usually be the biggest investment that any person makes, and though not many people may completely understand title insurance, it is one of the strongest elements for being able to leverage this investment safely. Professionals, like those at TitleSmart, know that title insurance establishes the purchase of the title to the property instead of the physical building and land, which greatly reduces the financial risks that might otherwise be imposed by any claims asserted by other parties. One of the lesser-known secrets of intelligent home buying is getting a pre-approval for a loan. Getting a pre-approved mortgage is different than being pre-qualified as a buyer. Just about anyone can get pre-qualification for a loan. Pre-approval ensures that the lender knows that your financial standing is sufficient enough to receive their assistance ahead of time. 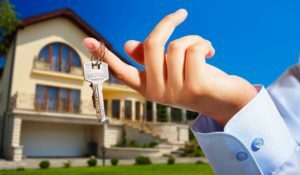 This entry was posted in Real Estate Investing and tagged Buying a House, Buying a New Home, First-Time Home Buyers, Home Purchase, Investing in Real Estate, Property Investment, Purchase a House. Bookmark the permalink.